Prematurity is the leading cause of newborn death in Uganda. During a broader community health care project, Malaria Consortium trained village health team members to raise awareness among mothers of preterm babies of the importance of attending antenatal centres to give their babies the best chance of survival. 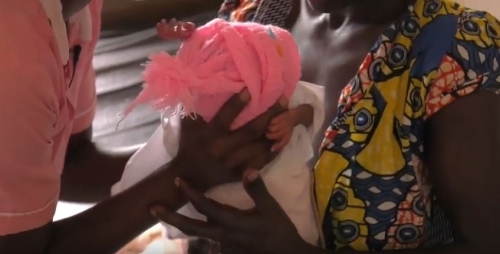 Kangaroo mother care is a high impact, cost-effective intervention that Malaria Consortium implemented in the Mtwetwe Health Centre to reduce mortality, severe illness, infection and length of hospital stay for premature infants. This film explains how this new way of doing things has become institutionalised at Mtwetwe.